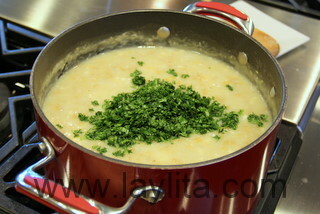 Repe lojano is a creamy soup made with green bananas, onions, garlic, milk, cheese and cilantro. 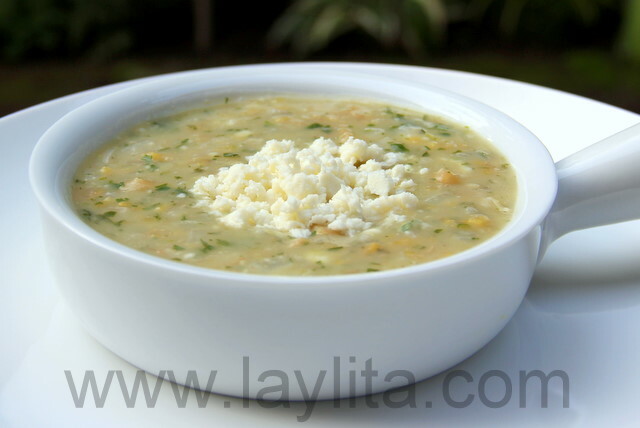 It is a traditional soup from the province of Loja, in Ecuador. 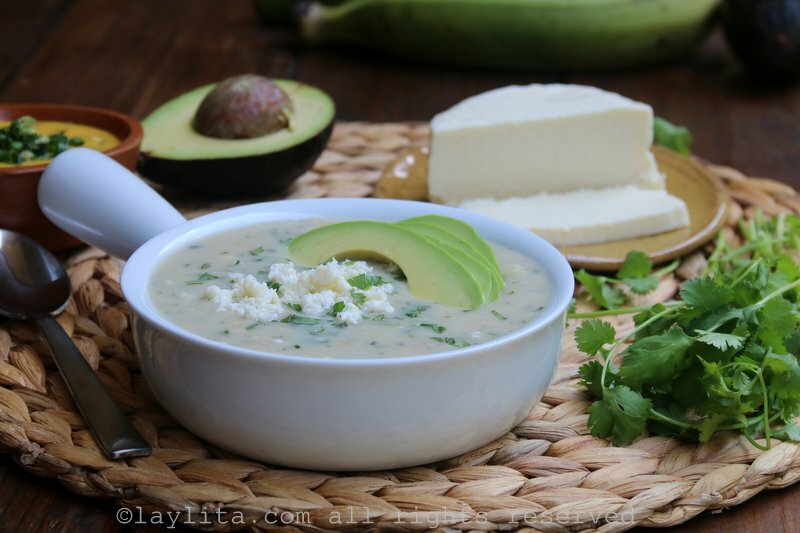 Green bananas are a challenging ingredient to find in the US or Europe, I’ve been lucky enough to find them a few times, but most times what looks like a green banana has actually already ripened and cannot be used to make this soup. 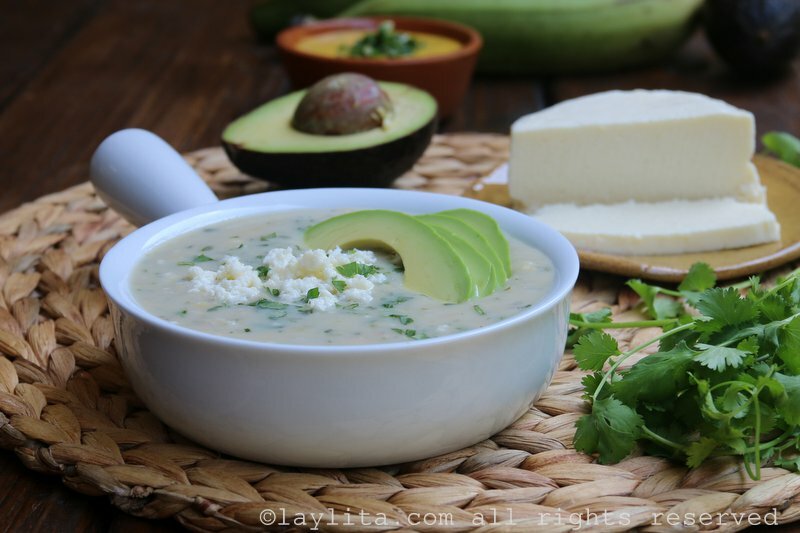 However, green plantains are much easier to find, and even though I recommend making this soup with green bananas, if you are not able to find them, I am including the amount of green plantains to use as a replacement. 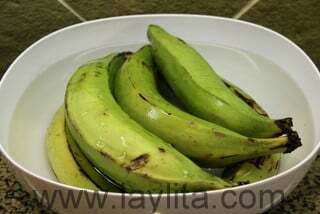 The green bananas give the soup a more subtle taste and satiny texture than you get with green plantains, however repe is also delicious when made with green plantains and the taste will be very close to the authentic repe that you would be served in Loja. 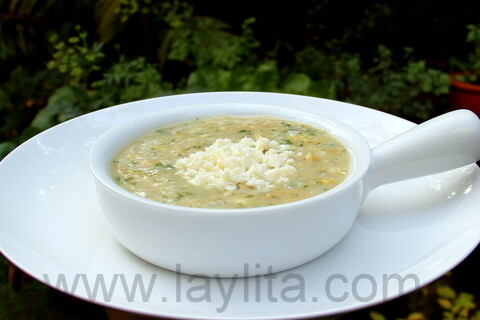 Repe lojano is a creamy soup made with green bananas or green plantains, onions, garlic, milk, cheese and cilantro. 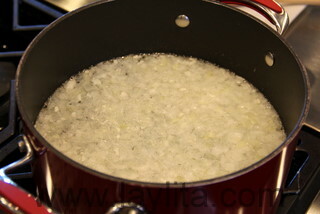 Heat the oil in large soup pot, make a refrito or base for the soup by adding the diced onion and crushed garlic, cook until the onions are soft, about 5 minutes. 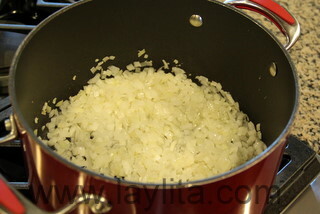 Add the 8 cups of water and bring to a boil. Add the diced green bananas to the boiling water. 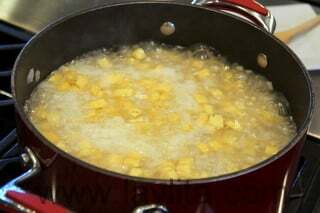 Cook over medium high heat, stirring occasionally, until the bananas or plantains are soft, about 15-20 minutes. It will take longer for the plantains to cook than the bananas. 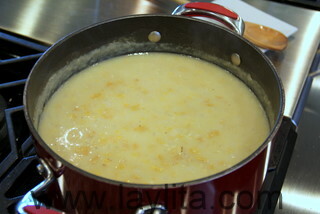 In the same pot, gently mash some of the bananas pieces to help thicken the soup. 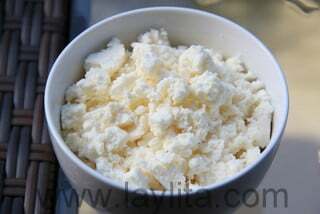 Remove from the heat and serve with slices of avocado, cheese and aji or hot sauce. 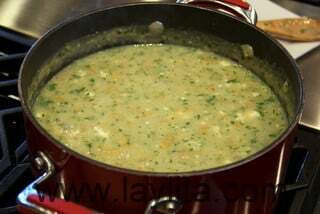 For a creamier variation of this green banana or green plantain soup, add 1-2 small potatoes, peeled and diced, when adding the green bananas to the soup. Adjust the amount of water or milk to your preferred consistency or thickness. One my best friends and former high school classmates shared this repe recipe with me several years ago, she also gave me some tips to make sure that this green banana soup was a complete success: first, when you are peeling the green bananas – or green plantains – make sure you peel and cut them under running water to keep them from darkening and to keep their sticky sap from sticking to your hands. Another tip from Marialicia is to only add the diced green banana or green plantain to the water while it is boiling, she recommends doing this in batches and to let the water re-boil in between adding each batch – the reason for doing this is too keep the bananas from darkening. Finally, she recommends that you add salt at the end or when the green bananas are fully cooked – also to prevent them from darkening. Repe is served with avocado slices, cheese slices and aji on the side. 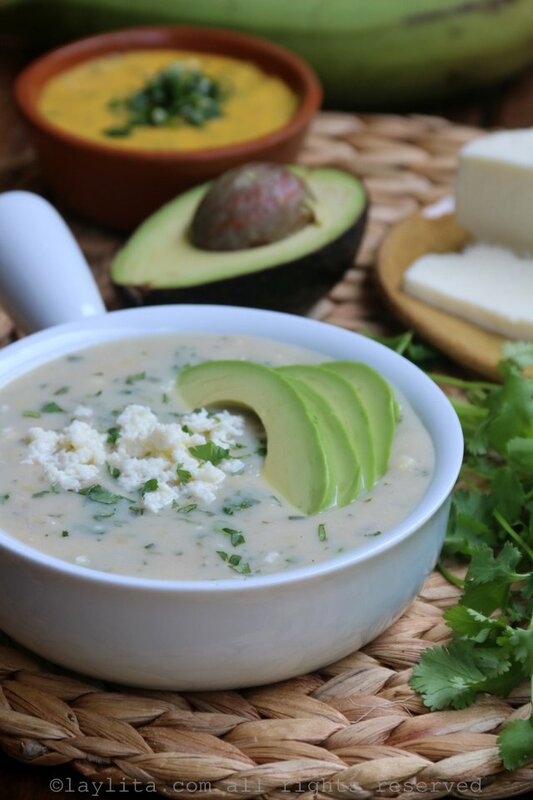 Like many other traditional dishes, there are different variations of this soups, one of the most famous is called arvejas con guineo and includes split peas. 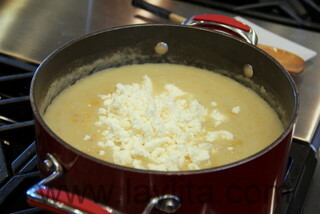 There is another version made with potatoes that is known as repe mestizo. If you or your family have a different variation, I would love to learn more about it and try it out. Your site and recipes are incredible! I just moved to Ecuador and am trying a lot of your recipes and they have all been delicious. I have a several Ecuadorian and South American cookbooks but I am finding your site to be indispensable. There are a lot of recipes out there that all you have to do is glance at them and see that the proportions are way off but not with your recipes, so I personally appreciate your accuracy as well. 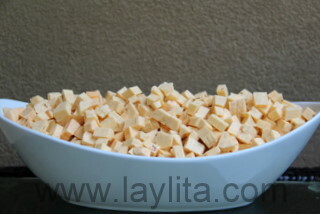 I recently tried your Arvejas con Guineo and it was perfect and thought I would try this Repe next. Because of your much appreciated penchant for perfection, I thought you would want to know that in this recipe, it doesn’t say to add the bananas but it does say to cook them until they’re soft…I know, I know…it’s a tiny thing but I figured you might appreciate this, especially since you gave the great Marialicia tips about only adding them to the already boiling water and in batches. I’ve been wanting to tell you how much I use and enjoy your site, so, thank you! Hi Bob – I just updated the recipe steps, I must have accidentally deleted that line of the instructions when I updated the photos last year (I checked the Spanish version and it included the missing step). Thanks for catching that and I’m so glad that you find the recipes to be accurate. This was my favorite food when I was little. My mom is from Loja so we used to visit every year. I can’t wait to try this. How many servings does this make? 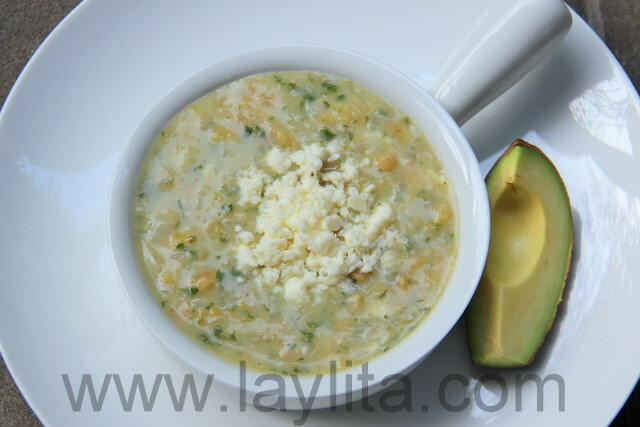 Hi Vanessa – This is for about 8-10 people, more or less depending on if you have it as starter soup or as a main dish (or Loja size serving). 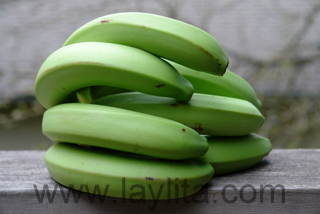 We use the green platano to make our sopa de platano which is out of this world and I find the green bananas easy to find here in New York as we use them for escabeche. I am happy to see another recipe for them.